Celtic Football Club was formed on 6 November 1887 by Irish catholic Brother Walfrid. Born in County Sligo in Ireland Andrew Kerins joined the Marist Brothers Teaching Order in 1864 and adopted the name of Brother Walfrid. He was sent by the Order to Scotland and was appalled at the poverty in which the children of East Glasgow lived. He formed the football club to raise funds for his charity the Poor Children's Dinner Table. The choice of the name Celtic was adopted at the inaugural club meeting to reflect the common origins of the Irish and the Scots. Originally the club played in white jerseys with green collars, then green and white stripes, and finally settled upon the familiar green and white hoops in 1903. On 28 May 1888 Glasgow Celtic Football Club played it's first official match against Rangers in a 5 - 2 victory. It was a friendly match and Neil McCallum scored Celtic's first ever goal at the first Celtic Park. Celtic were one of the founding members of the Scottish League in 189091 and have been an ever-present in the League since then. Celtic won the Scottish league for the first time in 1893 and went on to retain their title in the following season. This was not the first silverware won by the club as Celtic had beaten Queen's Park 5 - 2 in the final of the Scottish FA Cup at Ibrox Park in 1892. In 1897 Celtic FC became a private limited liability company and Willie Maley became the secretary-manager. Under Maley's guidance Celtic won the Scottish league six times in a row from 1905 through to 1910. During this run Celtic won the League and Cup double in 1907 - the first time that this feat had ever been achieved in the history of Scottish football. Celtic repeated this feat in the following season. Following a break of four years the Glasgow club went on another winning streak of four successive League victories from 1914 to 1917 including yet another double in the first season of that run. In 1937 Celtic met Aberdeen in the Scottish FA Cup final at Hampden Park. Either 146,433 or 147,365 (depending on the source) fans watched the match in the ground and regardless of which figure is right it remains a record attendance at a European club football match. Following the end of the Second World War, during which Jimmy McStay was at the helm, former player and captain Jimmy McGrory became manager of Celtic. McGrory was the most prolific goal scorer in British history with a record of 550 first class goals. Unfortunately He was not as successful as a football manager. In almost 20 years he won just a single Scottish League title, in 1954. McGrory also won the Scottish Cup that season. He won the Cup on one other occasion plus two Scottish League Cups. The 1957 League Cup final was truly memorable as Celtic thrashed Rangers 7-1. This is a record score line for any major British football final. In Celtic's second ever campaign in European competition McGrory led the club to the semi-finals of the European Cup Winners Cup. Celtic lost out on a aggregate score of 4-3 to MTK Budapest. Jimmy McGrory finished up as Celtic manager in 1965 to be replaced by Jock Stein who would change the fortunes of Glasgow Celtic football club for ever. Former Celtic footballer Jock Stein was appointed as the manager of the Glasgow club in March 1964. This was an inspired appointment as Stein would go on to become the greatest ever manager in the history of Scottish football. Stein was an almost instant success as he led Celtic to success in the Scottish Cup Final in 1965. A 3-2 win over Dunfermline Athletic brought the Cup to Celtic Park for the first time in eleven years. In the next season Jock Stein steered Celtic to their first League title for the first time in 12 seasons, and just the second title since 1938. Celtic won the title by just two points ahead of Glasgow Rangers. Once again Celtic were knocked out of the semi final of the European Cup Winners Cup. This time they lost out 2-1 on aggregate to Liverpool FC. The 1965/66 season was very successful but was a pale shadow of what was to come in the following season. Celtic went on to retain the League title in the 1966/67 season once again holding off the challenge of Rangers. The club completed a domestic treble by also winning the League Cup and Scottish Cup. Amazingly Celtic also added the European Cup to their silverware haul that season. On 25 May 1967 Celtic became the first British club to win the European Cup. A Scottish League team, consisting of eleven players all from within an area of 30 miles surrounding Glasgow, beat European aristocrats Inter Milan from Italy in the final in Lisbon. The Celtic team, that became known as the Lisbon Lions, came from behind to beat Inter Milan 2-1. After just seven minutes Jim Craig brought down Cappellini in the box. Allessandro Mazzola stroked home the penalty to give the Italians an early 1-0 lead. In the typical Italian fashion of the day Milan shut up shop and got eleven men behind the ball. They managed to frustrate Celtic for the entire first half and the early part of the second half until the 63rd minute. Craig atoned for his earlier error when he provided the assist for Tommy Gemmell to ram home the equaliser. Celtic continued on the attack and had almost 40 shots, including two that hit the woodwork, on the Milan goal throughout the match. Just as it appeared that the final, at the Estadio Nacional Stadium, was heading to extra time Gemmell became provider as he fed Bobby Murdoch who let fly from distance at the Inter goal. Goalkeeper Giuliano Sarti was left wrong-footed as Murdoch's shot deflected off Steve Chalmers in the 86th minute. This late strike was enough to garner the European Cup for a British team for the first time and, in fact, Celtic were the first non-Latin team to win the competition. Under Jock Stein the cascade of silverware continued for the next ten years. Celtic won the Scottish League another eight times which also meant that from 1966 to 1974 the club had won an astonishing nine consecutive league titles. Stein also led Celtic to a further six Scottish Cups and four League Cup triumphs. He steered the Bhoys to a second European Cup final in 1970. Yet again he led out an all-Scottish team to take on Dutch team Feyenood at the San Siro in Milan, Italy. Despite taking a first half lead through Tommy Gemmell Celtic lost out by the odd goal in three after extra time. Following a near-fatal car crash in 1975 and a period when Sean Fallon took over as caretaker manager, Jock Stein's formula for success began to dissipate to an extent. Under some pressure from within the club Stein agreed to step down as manager in favour of of former hoops captain Billy McNeill. Despite an offer of a position on the Celtic board he decided to try football management in England as he took up the reins at Leeds United. Having gained managerial experience at Clyde and Aberdeen, and also having been captain of the Lisbon Lions, Billy McNeill was seen as a natural successor to Jock Stein. He brought instant success as Celtic reclaimed the League title in his first season at the helm. The title was claimed in truly dramatic style as Celtic beat Rangers 4-2 at Celtic Park in the final match of the season. In his first five years as the manager of Celtic McNeill won a further two Scottish League titles, one Scottish Cup, and one League Cup. Following a hiatus of nine years of managing in England McNeill returned to Scotland to manage Celtic. In his second period as manager he won the League once and the Cup twice, including a doing the double in his first season back in charge. Due to an unwillingness by the Celtic board to commit funds for transfers a frustrated McNeill quit as Celtic manager in 1991. Following the end of Billy McNeill's second period as manager former Irish international Liam Brady became manager of Celtic in June 1991. 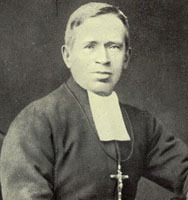 Brady was the first Celtic manager not to have played for the club. Despite arriving in something of a fanfare, and despite his impressive playing career, Brady's period as Celtic manager was not a success and a particular low point was a 5-1 defeat to Swiss club, Neuchatel Xamax, in the UEFA Cup. In October 1993 former Celtic and Manchester United player Lou Macari replaced Liam Brady as Celtic manager. Macari lasted just one season and, as with Brady's term, he failed to deliver any silverware for the demanding Celtic supporters. Following the departure of Lou Macari Celtic recruited former player Tommy Burns. His appointment as Celtic manager was surrounded by some controversy. At the time he was the player / manager of Kilmarnock and the club refused to release Burns to Celtic. The Glasgow club was fined by the Scottish Football Association and Kilmarnock retained Burns' player registration effectively ending his playing career. Despite playing a very attractive style of play Tommy Burns won just a single Scottish Cup in his three years at the helm at Celtic Park. Tommy Burns was fired along with the rest of his coaching staff in May 1997. Following the of sacking of Tommy Burns Celtic recruited the first ever manager from outside the British football environment. Dutchman Wim Jansen was appointed as Glasgow Celtic manager in July 1997. Jansen had been in the Feyenoord team that beat Celtic in the European Cup final in 1970. Jansen's appointment had the desired effect as Celtic finally won back the Scottish League title after ten barren years. Jansen also added the Scottish League Cup in that 1997/98 season. Following ongoing personality difficulties with the club's general manager Jock Brown, Wim Jansen left Celtic just two days after securing the League title. Jansen will always be remembered as the manager who brought legendary striker Henrik Larsson to Celtic Park. Following the departure of Wim Jansen Celtic once again turned to the continent for their new manager. In July 1998 Slovakian Jozef Venglos was appointed to the role. Known as an academic who employed strange training techniques. (In his autobiography Paul McGrath recalled his experience of Venglos as manager of Aston Villa in the early 1990's. "... his training methods were eccentric, to say the least. No doubt they were underpinned by some bombproof scientific formula. But they had us wetting ourselves on the training ground.") Despite an encouraging early 5-1 thrashing of arch rivals Rangers Venglos lasted just one season without delivering any silverware. Jozef Venglos was replaced by the two shortest-serving managers in Celtic's history. Liverpool FC playing legend John Barnes was appointed in the Summer of 1999 but was replaced by another Liverpool great, and former Celtic player, Kenny Dalglish in the following February. Barnes rein had been disastrous and Dalglish, who held the role of general manager, assumed day to day control of team affairs. Celtic finished the 1999/2000 season 21 points adrift of League title winners Rangers however they did beat Aberdeen in the Scottish League Cup final. Former Northern Irish international Martin O'Neill became the manager of Celtic in May 2000. O'Neill's tenure got off to a great start as Celtic beat Rangers 6-2 in his first Old Firm clash of the 2000/01 season. Celtic went on to beat their Glasgow rivals twice more in the League as the club recorded the second domestic treble in its' history. In another aspect O'Neill also emulated the great Jock Stein by reaching a major European final. Celtic met Oporto from Portugal in the UEFA Cup final in Seville, Spain on 21 May 2003. Despite an outstanding display by Henrik Larsson, that included two goals, Celtic lost out in extra time as Brazilian Derlei scored to earn a 3-2 victory for the Portuguese club. In his five years as manager of Celtic Martin O'Neill won a total of three Scottish League titles, three Scottish Cups and one League Cup. He came within a whisker of winning a fourth League title in his last season with Celtic. In the last match of the season with just two minutes of normal time remaining Celtic looked to be heading for a win that would secure the title. Unbelievably two goals in the final two minutes from Motherwell's Scott McDonald destroyed Celtic's championship hopes and handed the SPL title to Rangers. At the end of that season Martin O'Neill left Celtic to care for his wife who was very ill at the time. Former Scottish international midfield Gordon Strachan succeeded Martin O'Neill as manager of Glasgow Celtic in May 2005. The start to his managerial career at Celtic couldn't have gotten off to a worse start. Strachan described the 5-0 crushing defeat at the hands of the Slovakian champions Artmedia Bratislava, in the Champions League, as his worst experience in football. Celtic restored some pride by winning the return match 4-0. The club also went on to record an SPL record winning margin when Celtic destroyed Dunfermline Athletic 8-1. Strachan experienced another low point as Celtic suffered a 2-1 loss to First Division Clyde in the Scottish Cup. This match was also notable as Roy Keane made his Celtic debut in the tie. Despite some rocky moments Strachan's first season as Celtic manager was a success as he won a League and League Cup double. Having won the League title Celtic qualified for the group stage of the Champions League in the next season. Celtic's group included Manchester United, Benfica, and FC Copenhagen. With three victories at Celtic Park over each of the other group members Celtic qualified for the last 16 of the Champions League for the first time. Unfortunately for Strachan and Celtic they met Italian powerhouse, and eventual winners, AC Milan in the next round. Following a 0-0 draw at home Celtic lost out to a single goal in extra time at the San Siro in Milan. Gordon Strachan went on to win second and third Scottish League titles in successive years thereby becoming the third Celtic manager to win three consecutive titles. He also won two Scottish Cups and one League Cup. Strachan left Celtic just one day after surrendering the Scottish Premier League title to Rangers in the next season after letting slip a seven-point lead established by the end of 2008. Englishman Tony Mowbray, a defender, had spent four years during his playing days at Celtic Park. He began his coaching career with Hibernian but really made his name in England with West Bromwich Albion. In 2008 Mowbray guided West Brom to the Football League Championship title, meaning promotion to the Premier League and reached the semi-final of the FA Cup. Even though WBA were relegated in the following season he had piqued the interest of the Celtic board. In June 2009, following the payment of £2m in compensation to WBA, Tony Mowbray became the manager of Celtic Unfortunately for Mowbray and Celtic his record with the club turned out to be even worse than that of John Barnes. Following a number of poor results, particularly a record 40 defeat by St. Mirren, led to Tony Mowbray being sacked by Celtic on 25 March 2010. Following Mowbray's departure former Celtic player Neil Lennon was appointed as caretaker manager for the remainder of the 2009/10 season. Lennon was appointed manager of Celtic on a full time basis on 9 June 2010. In his first competitive game as full time manager Celtic lost 30 away to S.C. Braga in the Champions League. Celtic FC has a hugely impressive list of honours won over the years. The following is a complete list of all Celtic managers and the major football honours that they won. There have been 18 Celtic managers, 11 of which have won at least one major honour. In terms of domestic honours won Willie Maley was the most successful Celtic manager ever having won 30 major trophies. Next to him in the order of success is the great Jock Stein who won 24 domestic honours plus Scotland's only success in the 1967 European Cup. In the first 81 years of the existence of the club there were just four managers. In the following years there have been 14 managers.